HOPE – The legacy of former Hope High School teacher and Arkansas Coaches Hall of Fame member Melba Hall has left an indelible impression upon the tradition and students of HHS and the Hope Public Schools, HPS Superintendent Bobby Hart said Wednesday. Hall, 72, passed away Monday in Hope. Hall taught and coached girls’ basketball as an educator in the Chidester, Prescott and Hope schools for 34 years. She spent the majority of her tenure in public education in Hope, where she took the HHS Ladycats from the three-on-three play in girls’ basketball to the full court game. Visitation is set for today from 6-8 p.m. at Herndon-Pharr Funeral Home in Hope. Funeral services will be conducted Thursday at 3 p.m. in the Herndon-Pharr Funeral Home Chapel with Wallace Edgar officiating. Burial will follow in Rose Hill Cemetery in Hope. Hall was a member of Trinity Baptist Church. 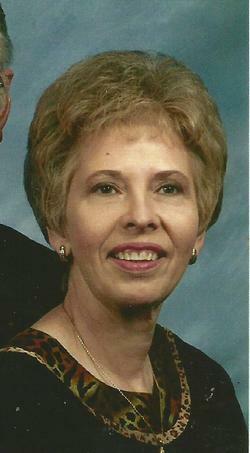 She was born August 22, 1944, in Hope, to Lee and Willie Mae Taylor Calhoun. Hall is survived by her husband, Don Hall, of Hope; a son, Mark Hall, of Hope; a daughter, Dusty Patterson (Joel) of Olive Branch, Miss. ; and, six grandchildren, Bethany Patterson, Kent Patterson, Heath Patterson, Madison Hall, Bailey Hall and Trace Hall.